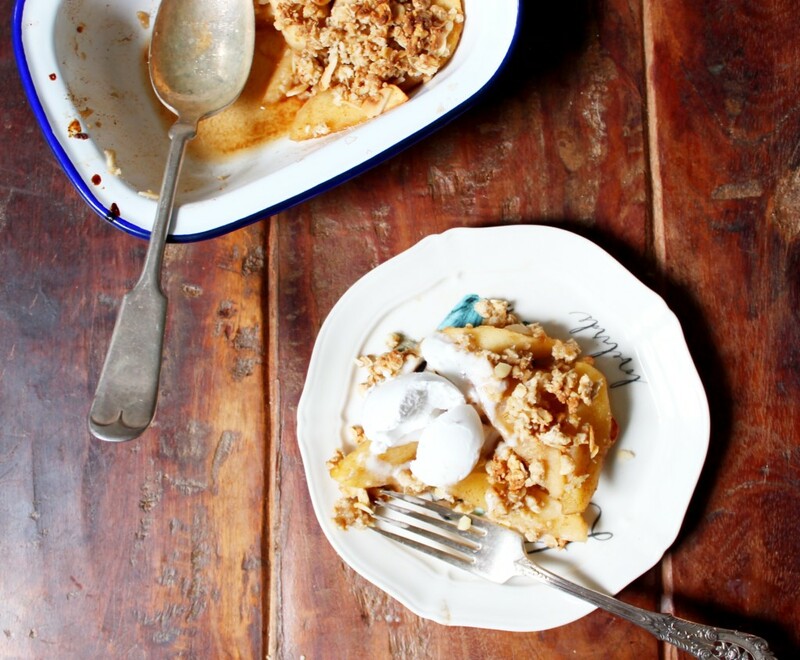 This is so simple and so delicious- the perfect healthy apple crumble. 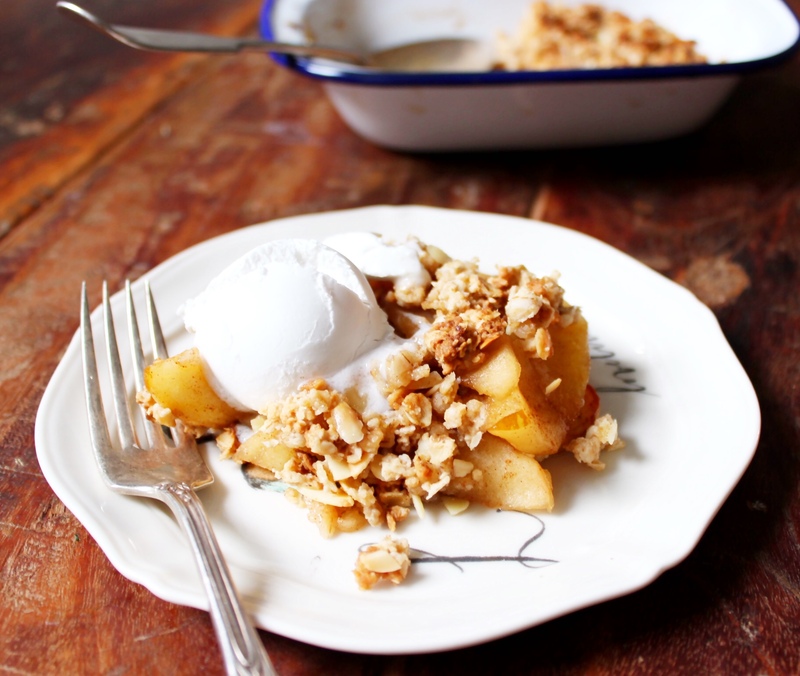 Everybody loves a good crumble and this one can be whipped up in a matter of minutes. It’s great for all occasions whether it’s dessert at a summer barbecue or you’re snuggled up by the fire. If I’m having a crowd around I make it in a bigger dish but if I’m just cooking for two I split it up into two littler dishes and keep one for the next day- just cover one in foil, unbaked, and keep it in the fridge. Then pop it in the oven the next day! Peel the apples, then quarter them and cut them into wedges, discarding the core. Add them to pan on medium heat with the water and 3 tablespoons of maple syrup. Sprinkle on the cinnamon and let them cook for 5-7 minutes, stirring occasionally. Then add them to your dish. 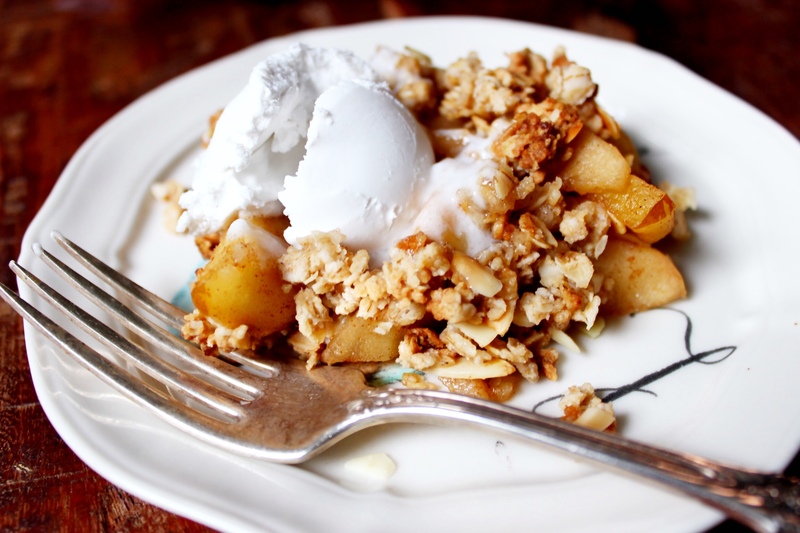 Combine the oats, oat flour and sliced almonds. Then mix in the melted coconut oil and 2 tablespoons of maple syrup. Sprinkle the crumble generously over the top and bake at 190’C for about 25 minutes or until the crumble is nice and golden and the apples are soft. 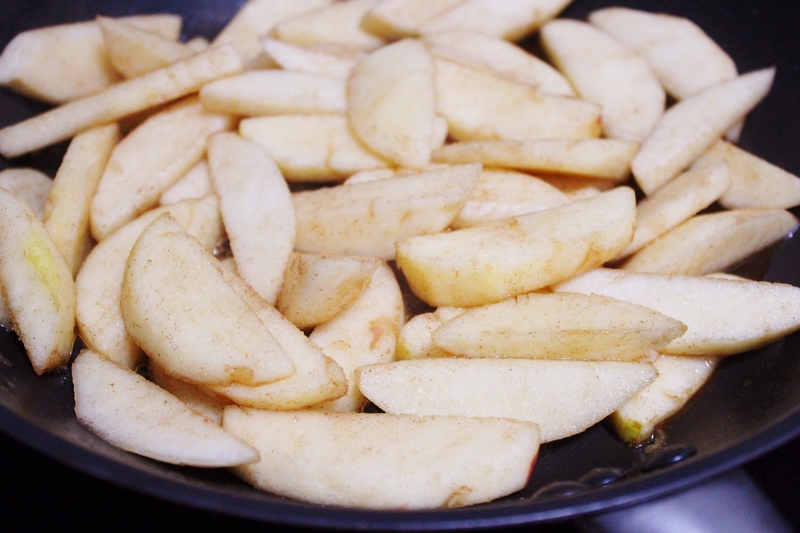 Are these cooking apples or regular eating apples? 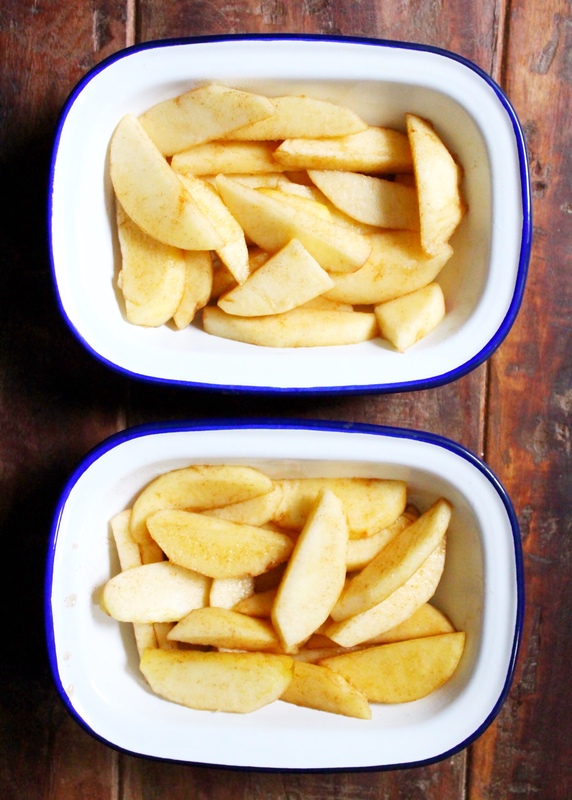 I just use regular apples but you can use whichever you like! This looks so so great! 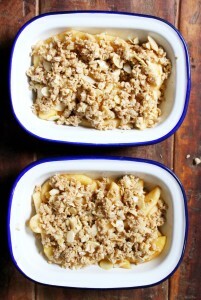 In the pictures, what have you put on top of the finished crumble? some sort of ice-cream? You can buy oat flour or blitz oats yourself at home! You can also use regular flour in the same quantity if you prefer but the recipe will no longer be gluten free. This recipe tasted amazing, it was so sweet and buttery and would honestly recommend it. It’s also so simple and hassle free. However I don’t know if this is because my apples were a little small but our crumble was just enough for 3 people, may double the mix next time as everyone wanted seconds!